Peace and fried food reign at Indy. Finally –finally – after a dozen years and untold casualties (yes, careers, reputations, traditions and even, many still say, open-wheel racing itself, were killed in that battle), the biggest war between racing series in modern times was over. And, Indy ’08 would be a celebration of that. Things was, however, it wasn’t. The celebration, the real celebration of VA (victory over arrogance) Day, will be this Sunday. It will be the 2009 500 in which normalcy has returned Indianapolis and the oozing wounds of battle will finally be clotted over. The exact causes of the split between CART and the Indy Racing League in 1994 will forever be debated by those who have free time to waste on those sorts of things. Ditto when it comes to naming a winner. Suffice it to say that the leaders of both sides of dispute felt they could do without the other. Other than that, well, history is written by the winners and the series is now called IndyCar and is ruled by the IRL. The fight between the two sides was quite bitter, quite nasty. So nasty that wonderful racing people vowed between tightly gritted teeth that they would never, ever, not in a their lifetimes, return to the place which all racing people want to be at, Indianapolis Motor Speedway. On the other side, other wonderful racing people, racing people with names which absolutely stand as symbols for American motor sports, swore they would never, ever, not in their lifetimes, compete on the same track as the ingrates which preferred turbos and twisties and Chardonnay over short chutes and Gasoline Alley and pork tenderloin sandwiches. And the fans, man, they got caught up in the war big time. Like it is with virtually all wars, as the millionaires were fighting it out with turned-up noses and for the cause of their own wallets, civilians were hurling themselves at the bloody embattlements because of ideals and doing so based on manicured information. Then, on Feb. 22 2008, peace was declared. Gerald Forsythe and Kevin Kalkhoven, the co-owners of Champ Car, and IRL founder Tony George signed an agreement to unify the two open-wheel series and peace was at hand. Champ Car would hold one last race – at Long Beach in April. And IndyCar would compete without the Champ Car teams in Japan the same weekend. But other than that, yes, the two series became one. There were some problems, however. Logistical problems – there were shortages of cars and parts for the Champ Car teams, which, under the agreement, would race in IndyCar equipment. And their were problems of uneasy feelings. When the series converged on Indianapolis in May, people from both series did their best to put on a show of unity and good will. And while the smiles were genuine, and the feeling generally positive, there was an undercurrent of tension, of division. It was kind of like hooking up with a former spouse after a decade-long separation. Awkward. People in the garages at Indy just felt kind of awkward around former hated-enemies. And the Champ Car guys, they felt a bit like outsiders even though they were not treated that way. On the track, one-worldness was still a goal rather than a reality. Teams and drivers from the IndyCar side were dominating as the Champ Car immigrants had natural adaptation problems with equipment and experience on ovals. A large handful of Champ Car vets had never driven on an oval of any kind, much less the flat, 230 mph, never-lift, 2.5-mile beast that is Indianapolis Motor Speedway. This year, it is one-world time at Indy. No class lines, no us vs. them, nothing but peace and harmony and Jim Nabors singing Kum Bi Ya. One track veteran say that even Paul Tracy, the guy who almost wrecked the 2002 500 as a CART interloper, is being treated as a, gasp, driver this year. Signs of the war are nowhere this year. Signs of a brighter future for open-wheel racing in America are everywhere. 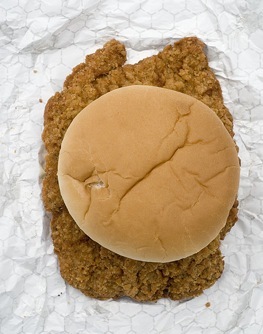 Champ Car types and IndyCar types are all munching those wonderful pork tenderloin sandwiches from the same concession stands. All will shed a tear and grow large fields of goose bumps when Nabors sings and high school bands march, and balloons ascend and the command is given. And no matter the name of the driver and the team which crosses the finish line first on Sunday, their titles will forever be; 2009 Indianapolis 500 winners.